It's never too late to begin a literary career. But that's not to say that you should act as if you have all the time in the world. If you are thinking about writing, don't delay. It may be later than you think. Anna Sewell was interested in writing a story about a horse for years, but she waited until she was sick and dying before dictating the tale -- Black Beauty -- to her mother. It was to be her first and only book. She died just five months after its publication, living long enough to see its initial early success, but not long enough to know that she had written a children's classic. 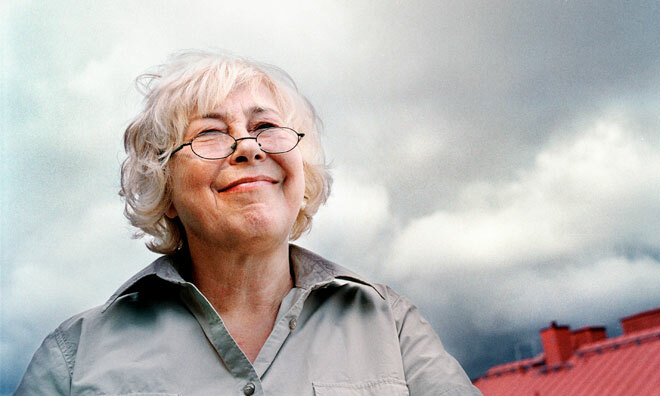 Swedish writer Helena Henschen enjoyed her late-in-life success a bit longer. A designer, founder of a clothing company and children's book illustrator, Henschen launched her literary career at the age of 64 in 2004 with a bang: Her first adult novel, "I skuggan av ett brott" (In the Shadow of a Crime) was awarded one of the 12 European Prizes for Literature just created by the European Union. The Swedish daily Dagens Nyheter heralded the success of a "grandmother." The novel arose out of research Henschen had been doing about an infamous crime that took place eight years before she was born. An 18-year-old son brutally had murdered his father and two maids in the family's Stockholm apartment, then fled with his wife, only to kill her, too, and then himself in an Uppsala restaurant. The bloody tale held a particular interest for Henschen. The sister of the murderer was her mother. Henschen's mother, who was 15 at the time, had been the one to discover the bodies of her brother's first victims. Obviously traumatized by the grisly affair, her mother never talked about her family with her daughter. Henschen went on to write "Hon älskade" (She Loved), this time based on her rebellious paternal grandmother. It became a Swedish bestseller. Her third book was going to be a sequel, also based on true events, set during World War II. That manuscript was never finished. Last month Helena Henschen died of a stroke at age 70. Luckily, Henschen did begin to write down the stories that had been bottled up within her for years. And luckily before her death, she was able to enjoy the enthusiastic reception of her work, albeit only for a few years. Fellow Swedish author Stieg Larsson was not so fortunate. He died before his phenomenally popular Millenium-series was even published. A Swedish newspaperman and a political activist, Larsson had written a few science fiction short stories when he began to write crime novels in 1997. In 2003, with two books finished and work started on a third, he finally contacted a publisher. Extraordinary for a first-time author, he landed a three-book contract with the Swedish publisher Nordstedts. The first in the series, featuring hacker Lisbeth Salander, was scheduled to be published in early 2005. Then in November, 2004, a few months before the book's debut, Larsson died of a heart attack. He was 50. Larsson missed out on the phenomenal success of the Millenium-series, translated in English as The Girl With the Dragon Tattoo, The Girl That Played With Fire and The Girl That Kicked the Hornet's Nest. Last year the gripping tales of the world's most famous fictional hacker had sold 27 million copies in more than 40 countries. But perhaps the saddest of all are the books that remain unfinished. Helena Henschen's published work is too "sparse," lamented Carin Stahlberg in a tribute to the author in Dagens Nyheter. "It feels sad to not have read the third part of her interesting family history."